Perfect for neighborhood strip center and local neighborhood business in fast growing area. Loop 303/ US 60 Interchange access. All utilities to the site. 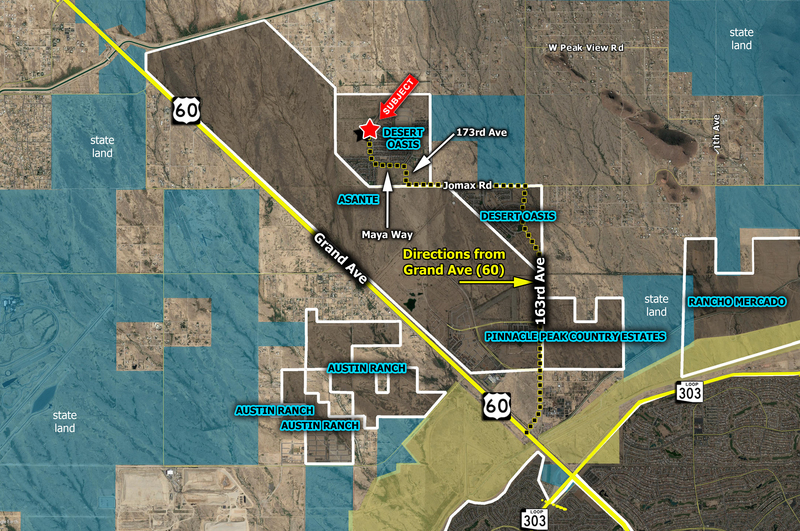 LOCATION: Located within the Desert Oasis subdivision, NEC & SEC of Straight Arrow Lane and 175th Ave in Surprise, AZ.